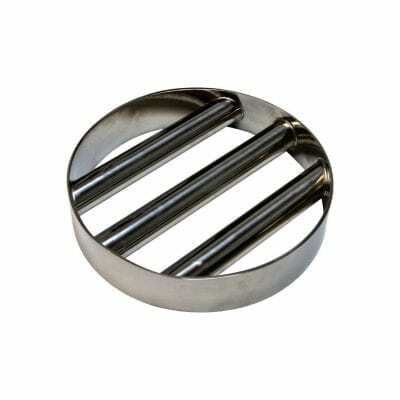 This Round Food/Dairy Grade 150mm Grid has an outside diameter of 150mm and is 40mm thick. 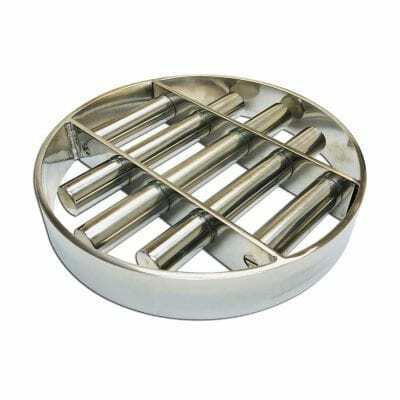 It is constructed of a stainless steel casing with two high powered Neodymium rods. The entire unit is fully welded and polished to food/dairy grade specifications. Our magnetic grids are the ultimate method of removing, small sized ferrous contaminant from a production line. 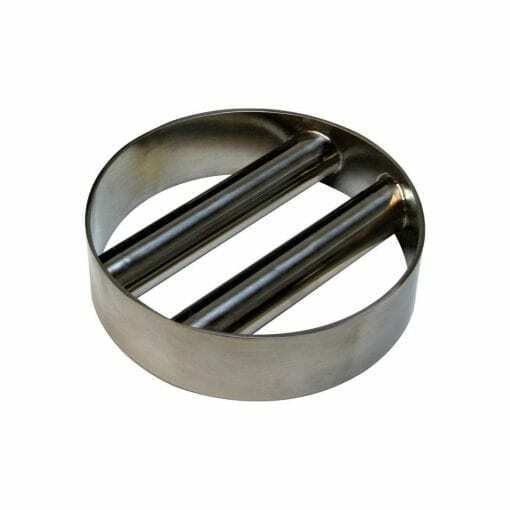 With their high-powered Neodymium rods, their magnetic field can penetrate deep into product flows and extract ferrous contaminant, improving product purity and reducing the risk of contamination reaching the product. These magnetic rods have a Gauss rating more than 10,000 Gauss. Please note that if subjected to temperatures over 80°C the Neodymium magnets inside the grid will begin to permanently lose their magnetism. Should you require a Grid for a heated environment we also offer high-temperature variants for environments of up to 120°C. Protect your brand image and ensure you eliminate the risk of a contamination breach by incorporating our grids to your existing product line. Grids can be implemented easily into an existing line allowing for a cost-effective means of reducing contamination. With several stock sizes available we will have a grid that will meet your needs. If in the event you need a custom size or design, we can custom make to order. Protect your investment with yearly validation testing to ensure your magnets are in peak performance and avoid costly repairs by monitoring the condition of your magnetic systems. Send your grids to us and we will test them and then courier them back to you, or book in an onsite test with one of our separation technicians and we can come out to your site to minimize disruption. These magnets are extremely powerful, if two join on your hand they can do permanent damage. Take extreme caution and use adequate protection when using these.